Challenge Week 15: Why Don’t You Play in Hell? 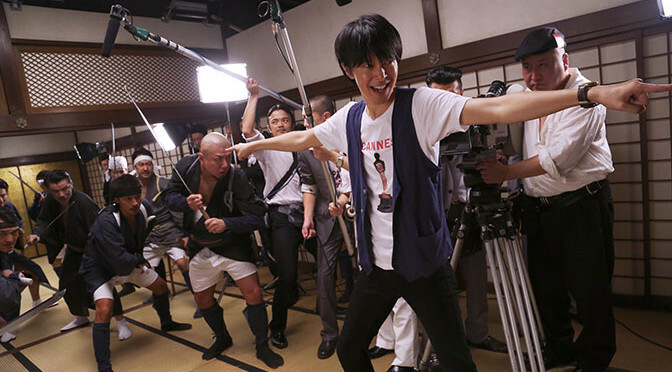 I’d heard of Sion Sono before seeing this, but mostly got the sense that his stuff would be too weird/extreme for me. This one, however, is like an actual Japanese version of Kill Bill, except even more extreme, plus a filmmaking angle, which you know always attracts me. 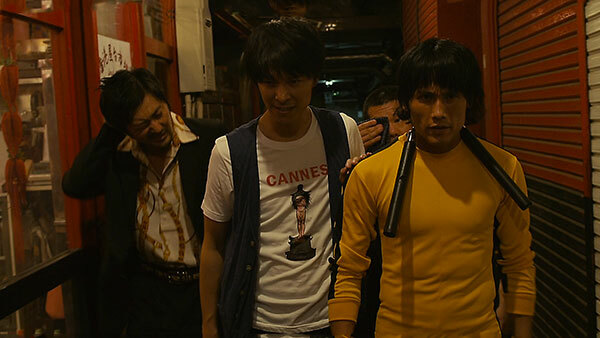 A set of young filmmakers wants to make one amazing film, and what could be more amazing than filming an actual yakuza battle (with their own Bruce Lee-yellow-jumpsuit-wearing action star for good measure). The plot is actually much more complicated than that, involving a yakuza boss, his badass wife and wannabe actress daughter, a rival yakuza gang, and the regular guy who gets caught in the middle of all this, but BASICALLY it’s an over the top homage to 1970s Asian action films. It’s also one of the bloodiest films I’ve ever seen, so it helps a lot that it’s so completely absurd. 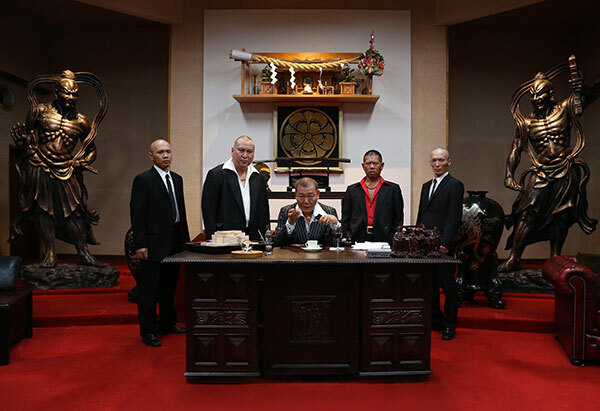 The final yakuza battle takes up probably half the film and is a ton of fun to watch, if you find it fun to have heartfelt love scenes interrupted by severed heads rolling by. Or a girl sliding through an ankle-deep room full of blood and then doing a commercial jingle as if nothing’s at all weird about that. Thankfully, in a film like this, I find it quite fun indeed. The kills are inventive and the cinematography and timing are perfect throughout. This is one that had been on my radar from friends who saw it at various film festivals, but I’m grateful to Chewie for giving me a push to get over my Sion Sono hesitation, at least with regards to this film! I enjoyed it a lot. It is now my #1 Sion Sono film, my #1 Jun Kunimura film, my #9 Absurd Comedy, my #20 Action comedy, my #25 Black Comedy, my #22 Gangster Film, my #5 Splatter Film, and my #15 film of 2013. Why Don’t You Play in Hell? was recommended by Chewie Darsow, a real-life friend. Sion SonoWhy Don't You Play in Hell?